Located at the beachfront of Raffles Praslin Seychelles, the new Pti Zil Beach Bar offers tempting Mojito creations, local beers, fresh juices, smoothies and light snacks throughout the day. The casual-chic venue boasts a bar and sitting area, where guests can chill-out in a friendly and relaxed atmosphere with lounge music. 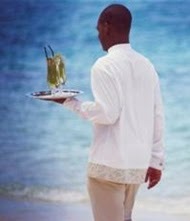 Guests can also enjoy the Raffles beach service, from the bar directly to their sun loungers. The bar opens daily from 10am to 5pm. Raffles Praslin is proudly taking part in this global day celebrating women, with special offerings for ladies staying at the resort on the 8th of March. The Raffles Boutique & Café will be hosting a “Fashion High Tea” where ladies will be offered delectable savouries and sweets inspired by designer collections. Raffles Spa will also extend a pampering offer whereby with any 60 minute massage booked, women will receive an additional 30 minutes of massage. And for any 90 minute spa treatment, women will receive a Yi King organic product hand made in Seychelles, with compliments from Raffles Spa. Upon arrival for dinner at Curieuse Seafood Restaurant, women will also be given a frangipane flower, the typical flower of the archipelago, and receive a surprise fashion amenity in villa. 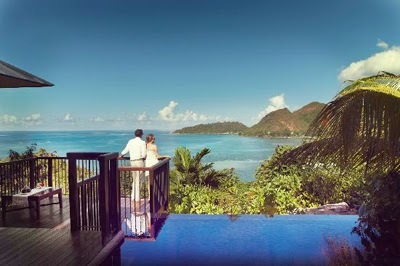 Raffles Praslin celebrated its 3 years of operations since the opening of the resort in February 2011. To mark the celebrations, the team planted a palm tree at the entrance of the hotel, echoing to Raffles brand icon: the Travellers Palm, embodying gracious hospitality and heartfelt service. 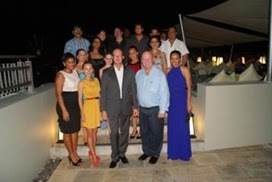 The resort also invited local partners to a celebration evening on 15th February, and was honoured by the presence of Minister Alain St. Ange, Seychelles Minister of Tourism & Culture. The resort thanks its partners for their continuous support over the years and looks forward to further fruitful collaborations!